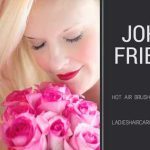 A perfect round hair brush that is recommended by so many hairdressers! Calista perfecter pro reviews will be helpful for those who are looking for the all-in-one solution to straighten, curl, add volume to the hair, and making hair shiny and smooth. 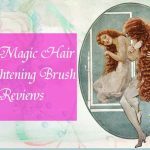 Designed by Maria McCool, Perfecter pro grip hot brush is so popular among ladies that it’s higher appreciation is really envious of several brands. To solve the common issues of your hair type and when you need a salon quality look of your hair at your home, consider Perfecter Pro. It features ionic and ceramic dual heat technology that can heat up so quickly to deliver even heat throughout your hair. Is it suitable for your hair type? Yes! That’s why it has so much love from lots of ladies. No matter whether you have short to long hair, it works! From thin to very thick, from straight to super curly hair, works even better. Besides, lots of lady having fine to really coarse hair have confirmed that Perfecter Pro grip is their true friend. Turning on the brush is a little bit tricky. You need to hold the on/off button for almost 3 seconds to turn on the styler. Then, if you have coarse or heavy hair type, you need to set the higher temperature setting. But if you have over-processed or fine hair, you should choose the lower temperature setting. Many ladies wrote Perfecter pro grip reviews saying it’s all you need to have all the hairstyles. It can truly replace all other expensive hair styling products like a hairbrush, hair straightener, curling wand, and hot rollers. It features soft touch grip so that you can securely hold it while styling your hair. However, don’t try it on your wet or damp hair. Only dry hair is recommended. Anyone can assemble it. However, here is a tutorial on how to set up Calista Perfecter Pro. Available in 2 sizes: 1 inch and 1.5 inches. If you have short hair, choose the 1-inch barrel, if you have medium to long hair, choose the 1.5-inch barrel. Comes in 4 colors. Choose from Grey, Navy, Pink, and Purple. Adjustable temperature settings on LCD display. Set temperature between the ranges of 325 to 395F. More than enough heat to style your hair without damaging. Automatic shut off feature. Even if you forget to shut it off, after one hour it will be automatically shut off. Perfecter pro grip is dual voltage, so no need to buy a separate converter. You might need a plug adapter though. To infuse your hair with body and shine, the brush has the ceramic and ionic technology. Perfecter’s bristles are made of nylon and these are soft yet hard enough to hold your hair. Pretty good to have lots of traction. No more finger or skin burning issue! Even if you have thin hair, it is proven to grip such thin hair. If you have curly and frizzy hair and all the other brands failed to work for you, try this! Ladies are so happy when they touch their hair and find it’s full of volume, shine, and body. So much easy to use it. Many have confirmed that making small waves and curls is relatively easy with this one. Most cost-effective solution to style your hair. Imagine the price of a hairbrush, straightener, and curling wand. Proven to last longer than Perfecter Fusion Styler. Huge recommendation from experienced ladies for their friends and families. You don’t want your hair get tangled. To avoid this, do not wind your hair too much. Should not do it more than 2.5 times. Now, it’s time to include some cons in this reviews of Calista perfecter pro so that you have the impartial view. For some, teeth of brush started falling off after 3 to 4 years. Some have complained that it does not give much volume. Did you find this review of Calista perfecter pro useful? I believe I have covered everything that you should know about it before you make your decision. But if you need to know any more information regarding Perfecter, please let me know in the comment box.